Florida Governor Rick Scott declared a state of emergency in seven coastal counties this week as a red tide laps at the state’s shores. While officials and scientists on the scene react, IBM and some of its friends are 1,000 miles away asking Lake George why these things happen. Lake George, to be clear, is a lake. 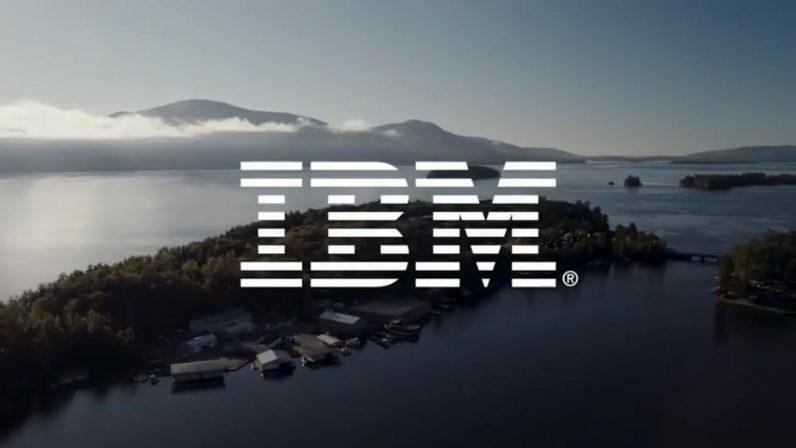 It just happens to be the world’s smartest, thanks to a partnership between IBM Research, Rensselaer Polytechnic Institute, and The FUND for Lake George called The Jefferson Project. A team of interdisciplinary science all-stars have spent the last five years at Lake George, building the most advanced environmental monitoring system ever made. This is a new chapter in a decades long study to determine the impact that humans’ presence has on natural water sources, including why some algae blooms — colloquially called red tides — turn toxic. Granted, lakes don’t typically have tides, but Lake George serves as a test bed for this type of research. We spoke to Harry Kolar, IBM Fellow, Associate Director of The Jefferson at Lake George who explained how things worked. They’re studying how a body of water reacts to, well, everything. Areas of the lake closer to higher concentrations of humans are more likely to have chemical runoff than those near more sparsely populated parts, for example. This may be something we’ve always assumed, but now there’s empirical data to support it and parameters to experiment from. The secret sauce behind the lakes intelligence is, of course, AI. IBM employs some its most advanced computer and machine learning models at the Lake George project. Kolar told us the Jefferson team collects about nine terabytes of data per year, but its models generate about 72 – that’s far too much data for humans to deal with. But Lake George doesn’t just generate data for scientists to pore over later, its the subject of an effort to teach AI how to predict the future. According to Kolar the weather modelling AI is “highly accurate,” and it has to be: what data gets generated depends on it. It works like this: The weather model – which has a forecast covering the entire lake and entire watershed, and produces those forecasts at a grid of 330 meters – determines how the tiniest atmospheric changes will affect every part of the entire lake. This is important because the lake is very different along the course of its 32 mile long footprint. Ours is interesting because this advanced intelligent sensor network is actually connected to the modeling environment. The system remodels the entire weather system daily, so the sensors know what to look for and what data to prioritize. Everything about the environmental monitoring platform as a whole is automated across the entirety of the lake. Whatever lessons the team can learn from Lake George will aid them in the fight against harmful environmental shifts. The Jefferson Project answered a call from New York Governer Andrew Cuomo last December when he asked scientists to figure out an answer to the state’s harmful algae bloom problem. Though Lake George doesn’t currently have a problem, Cuomo included it as a sort of control group for study of affected waters. One such body, Skaneateles Lake, has a recurring harmful algae bloom and The Jefferson project is helping to figure out why. The team dropped a vertical profiler, just like the ones used at Lake George, in Skaneateles before this year’s bloom showed up. It’ll stay there for the next few months, hanging out with some toxic algae, while researchers analyze data and conduct tests to figure out why the red tide arrives. Kolar believes the implications of the work he’s doing will eventually extend beyond Lake George and Skaneateles Lake, he said it was certainly applicable to marine and coastal issues as well. “We’re not sure exactly why some harmful algal blooms happen,” he told us. The Jefferson project believes Lake George has the answers, and it’s using cutting-edge AI to translate what the lake is saying into actionable data.